Was reviewing new samples when we chance upon this. I can see it now when we send the promoter out to the stores. "Hello Auntie, you want to try My Nuts? 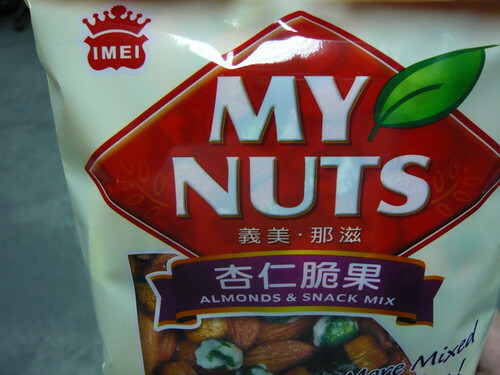 My Nuts really nice to eat wor! My Nuts very cheap!! Lai, EAT MA NUTS!!!" Let's just say that I am going to confine this to the non-English speaking markets. LOL.